In my previous blog on financial reporting I described steps 1 to 3, that make up the bookkeeping phase in which accounting records are created. But that looks at the past. It’s already happened; it’s done and dusted. Hence the joke that an accountant is like someone trying to drive a car by looking out of the rear window. Directors and managers need to look into the future so they can make decisions that will affect what will happen, and achieve their aims. They can define what they want to happen – in a budget – and predict what is likely to happen – in a forecast. This blog gives an introduction to forecasting, a key step in the preparation of management accounting reports. Financial forecasts are sets of figures that are prepared to help managers understand what, at a given time, is likely to happen in the future. As a forecast is regularly updated, it is often referred to as a ‘rolling’ forecast. A business that has regular board meetings updates its forecasts ahead of each meeting. The forecast is based on a numerical model of the business, often created in a spreadsheet. The person maintaining the forecast updates the historical figures to match the accounts. They then enter or adjust values or formulae for the future figures, depending on a series of assumptions. In most smaller organisations, it is more important to forecast cash than profit and loss, or balance sheet. Running out of cash is a common cause of business failure. A cashflow forecast can be a fairly simple stand-alone model. But a more rigorous approach is a 3-way forecast, in which Profit & Loss, Balance Sheet and the Cashflow are integrated. A 3-way forecast uses a model that derives cash flow from the forecasted Profit & Loss and Balance Sheet. 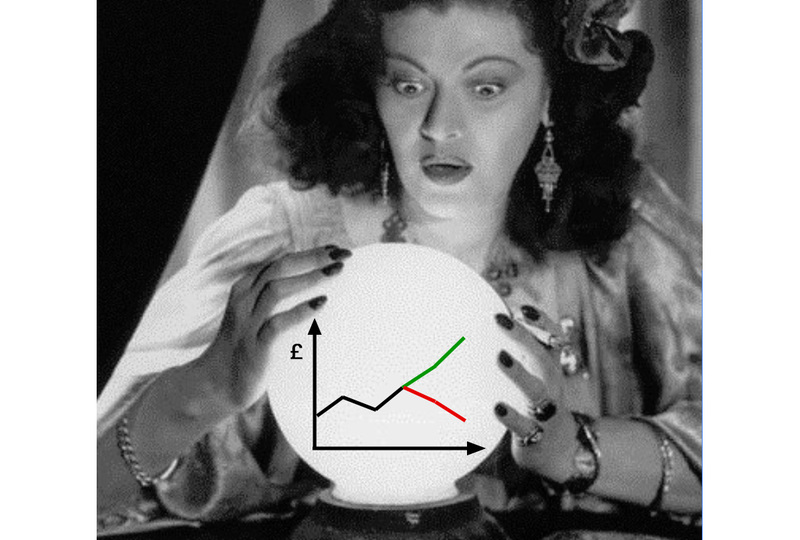 The P&L forecast figures can also be used to project what the P&L will look like at the end of the year. A forecast is based on a defined scenario. A scenario is a set of assumptions; a collection of educated guesses about what may happen in the future. Some businesses run several forecasts. One might be for the ‘expected’ scenario, which is the set of assumptions that managers believe, on the date of the forecast, is most likely to happen. But they could also prepare a ‘pessimistic’ forecast, in which they assume that sales will be only 50% of budget. That let’s them keep an eye on what would happen in that scenario, and in particular see how quickly they would run out of cash. The main advantage of a forecast, compared to a budget, is that its values are more likely to be closer to what will actually happen. That is because its assumptions are based on the most up-to-date information that is available. Forecasts also have disadvantages. Unlike a budget they are a ‘moving target’. So comparing actual figures against earlier forecasts has limited benefits. And forecasts can be time-consuming to prepare. In the early stages of the businesses I run, I always create and maintain a simple one page spreadsheet cashflow. It has a column for each month, and covers at least the last 12 months and coming 12 months. There are rows for the groups and accounts in which the cash transaction occurred. I match the groups and layout of the Xero Cash Summary report, so it is easy to import values from Xero. After each month end, when I’ve reconciled the bank accounts in Xero, I update the spreadsheet’s cash figures in the last complete month. I examine the values for future months and adjust them if needed, taking into account what happened in the previous months. Then I consider the implications for the business. When might we run out of cash? Can we increase income or reduce costs? Do we need to look for funding? Realistic – Your forecasts will (almost certainly) be wrong, but you should check by how much. If the actual figures only differ by small amounts from the forecast ones, then the forecast is doing its job! But if actual results are often a long way from those that were forecast, then you should go back, work out why, and try to fix the forecast model. Transparent – The key assumptions in the scenario should be clearly identified. This helps you and colleagues understand the basis for the forecast. Graphical – It is hard to pick out trends, patterns and risks from tables of numbers. It is a lot easier if you can see key information in a graph. A time series plot of actual/forecast cash balance against time is a great way to visualise a cashflow forecast. If several scenarios have been forecast they can be shown in different colours. Simple – KISS (keep it simple, stupid) – Don’t make the model too complex! There is no point in having a very complex model that appears to shows precise results, when the uncertainties of the assumptions are large. An overly complex model takes a lot of time to maintain and is likely to have errors. Useful – Your forecast should of course help you run your business. If it doesn’t, then change the way you do it – or stop! Here at Numerable we are planning to add forecasting to our Xero app. As with other features, we’ll keep it simple and easy. So keep an eye on our updates on www.numerable.io.